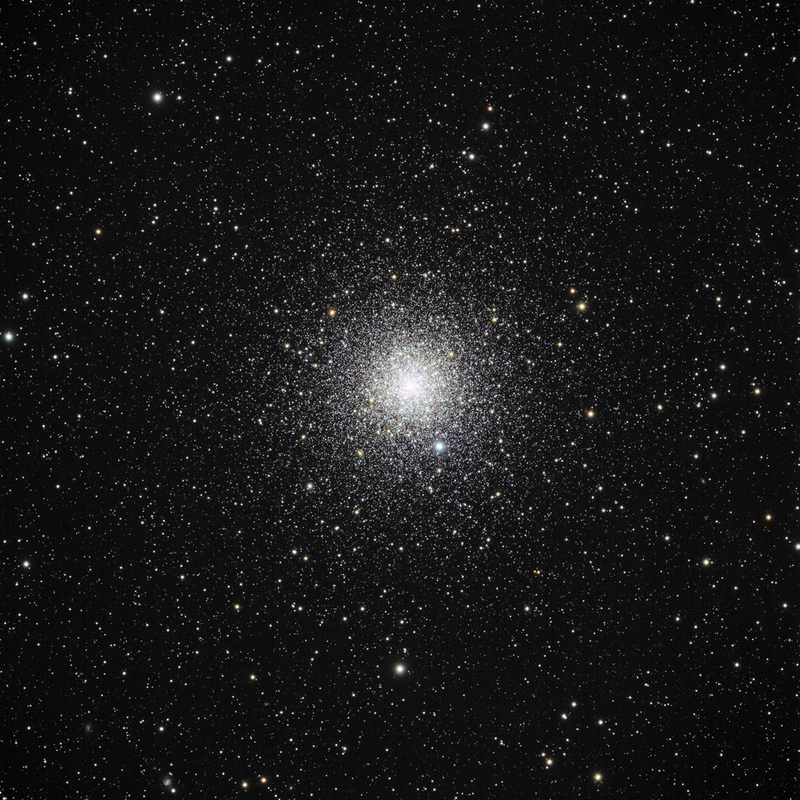 NGC 6752 is the third brightest globular cluster in the night sky, being bested only by Omega Centauri and 47 Tucana. At a visual magnitude of 5.4 it is visible to the naked eye from a dark sky site. It’s roughly 13,000 light-years from Earth in the direction of the southern constellation Pavo (The Peacock) and contains well over 100,000 stars within its 100 light-year diameter. Bright red giant stars which dominate this cluster can be seen in the above image. Total exposure time was 2 hours 35 minutes. This image is the result of a collaborative effort between Howard Hedlund of Astro-Physics, Inc. and Dave Jurasevich.